They say that the best things in life are free, but there are exceptions even to such a cliche. 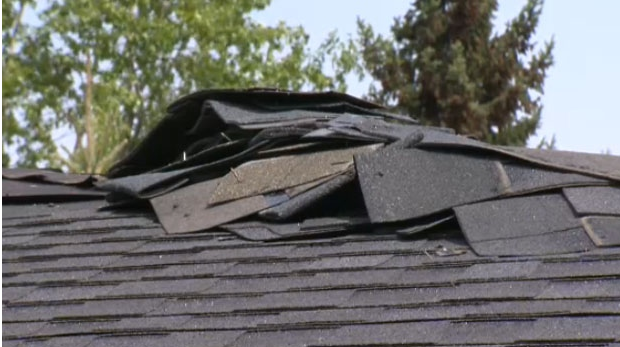 One would think that Linda Cox of Calgary is one lucky woman after a roofing company showed up without being asked to, until the roofer begins to tear her brand-new roof apart, shingle by shingle. What must be a dream for some quickly turned into Cox’s nightmare after she was left wondering who will pay for the damages to her roof. Horrified, Cox confronted the roofer to understand his motives and had the displeasure of getting cursed at by the man’s boss over the phone, according to a report by Colleen Schmidt of CTV Calgary. This prompted Cox to seek help from local authorities, who she hoped would help her get to the root of the problem. Clearly, this is an incident involving unprofessional roofers, people who should not practice roofing in Pleasanton, CA and elsewhere. A reputable roofing company like Roofmax should know how to deal with clients and matters concerning their services in a polite manner. Roofing contractors should also double-check if they’re servicing the right customer, which the roofer in question failed to do. The incident gives the impression that not all roofing companies encourage employees to achieve greatness, so homeowners should be wary about hiring just about any roofing contractors. In a desperate attempt to protect his company’s reputation, the boss of the roofing company in question refused to reveal the name of his business. Cox has no choice but to trace the roofer who erred through his name and license plate number. Fortunately for the woman, the company responsible for installing her now-tarnished roof is willing to repair it and will instead charge those who were behind the shameful act. Hopefully, the Pleasanton, CA roofing contractor and his peers based in other places are faring better than the roofer who greatly upset Cox. For a roofing company like RoofMax to become thoroughly successful, it should not only offer a diverse range of services like roof repair, roof replacement, and gutter system installations. It should also have experienced roofers who are driven to discover valuable solutions for the customers rather than create problems for them. When choosing a roofing company that would protect the home from the elements, individuals should look closely at the credentials of the roofing contractors they’re talking to. They should make sure that the roofers have very low tolerance for mistakes. After all, a roof is an important part of the home, and needs to be as efficient as it can be to keep inhabitants away from danger. This entry was posted in Blog, News & Updates, Roofing Contractor. Bookmark the permalink.